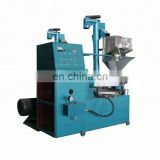 By degum pot and decoloring cans and hoist system composition, this equipment adopts full stainless steel material, set the foodgrade materials measurement device, automatic temperature control device, adiabatic device and enters the material buffer device, which can realize crude oil degum, deacid, decoloring and deodorize function. 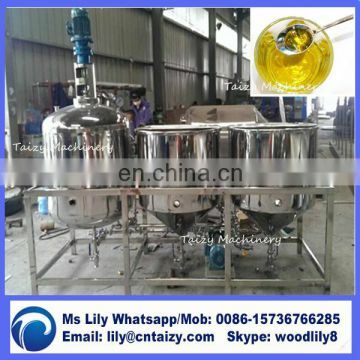 Fill the filtered virgin oil into degum tank of the refining machine and adjust tank temperature, add salt water, heating and start mixing device, into degum, 2 hours later, into the deacid tank, add alkali, take off acid from crude oil; then automaticly into the decolour tank, add the activated carbon to decolour; the oil through the oil filter remove the impurities, final into deodorize can. 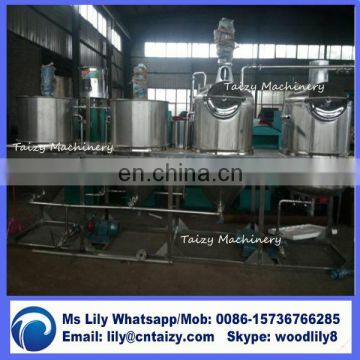 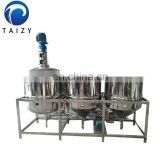 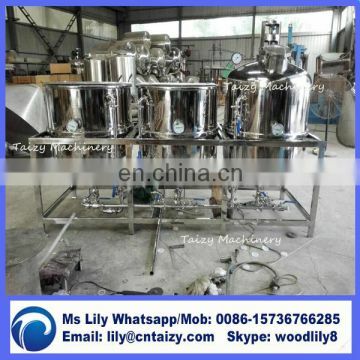 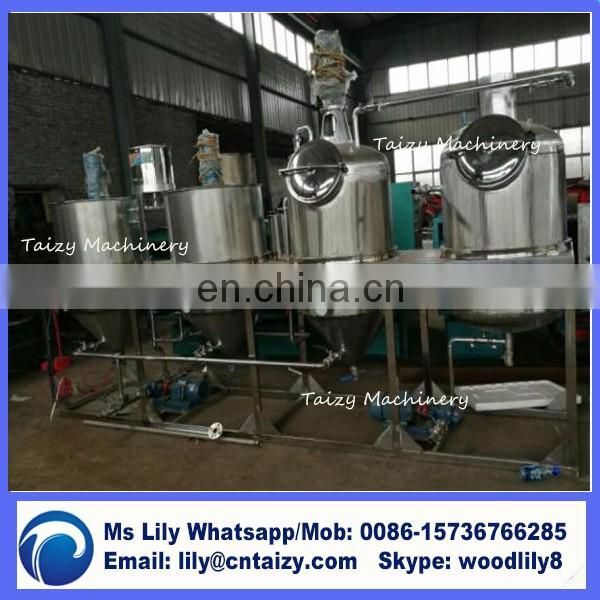 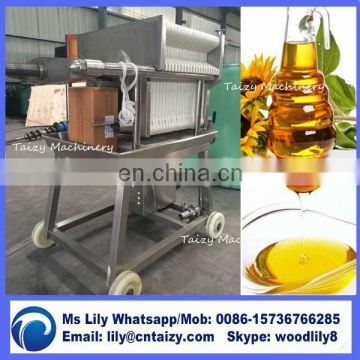 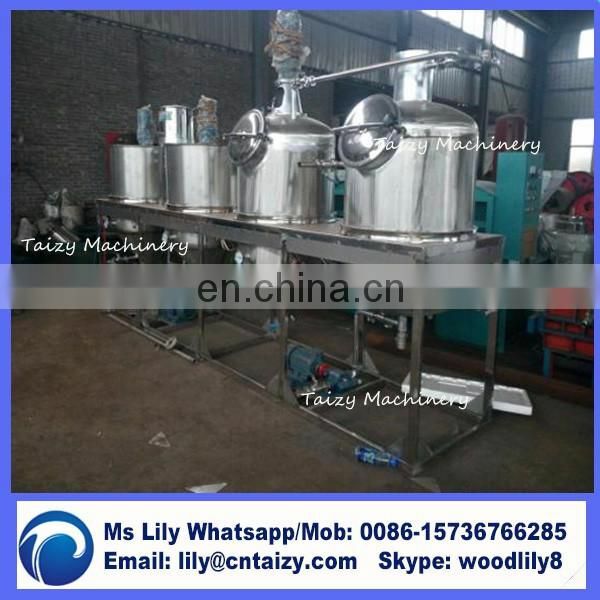 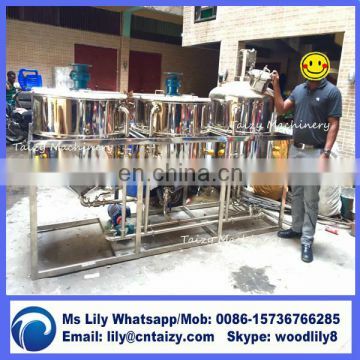 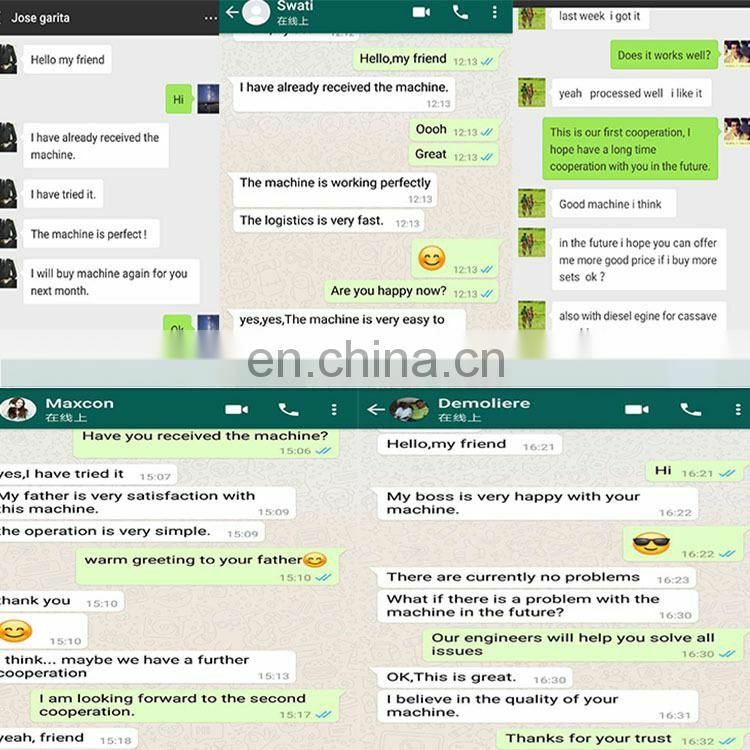 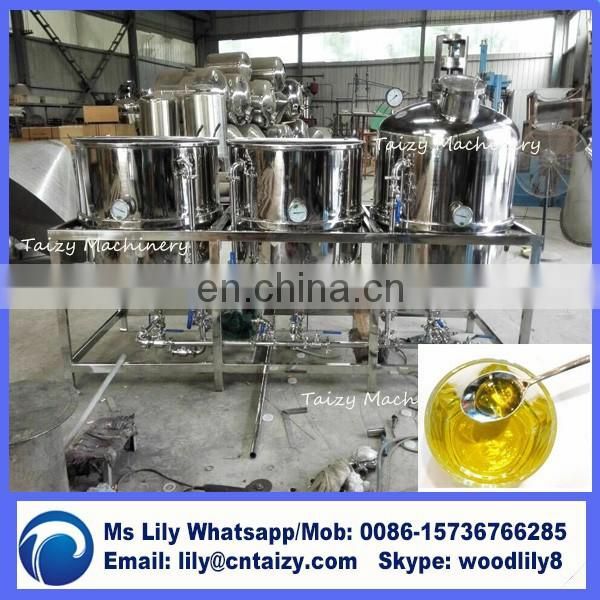 The TZ type small senior edible oil refining machine process after the oil colour and lustre is pleasant, clear and transparent, longterm placed there were no precipitation, the pot doesn't foam, not smoke, reach national standard, which can be directly oil filling into supermarkets. 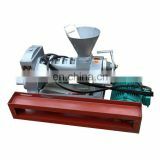 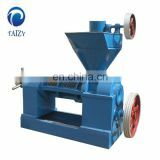 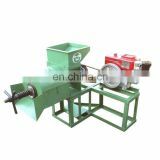 Suitable for processing and small-scale oil processing use.